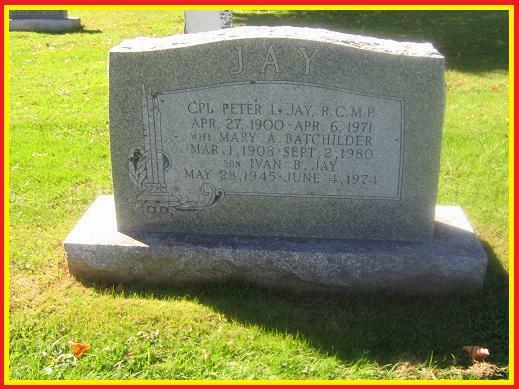 The RCMP Veterans' Association (PEI) inspects all known grave sites of former members of the Force yearly. 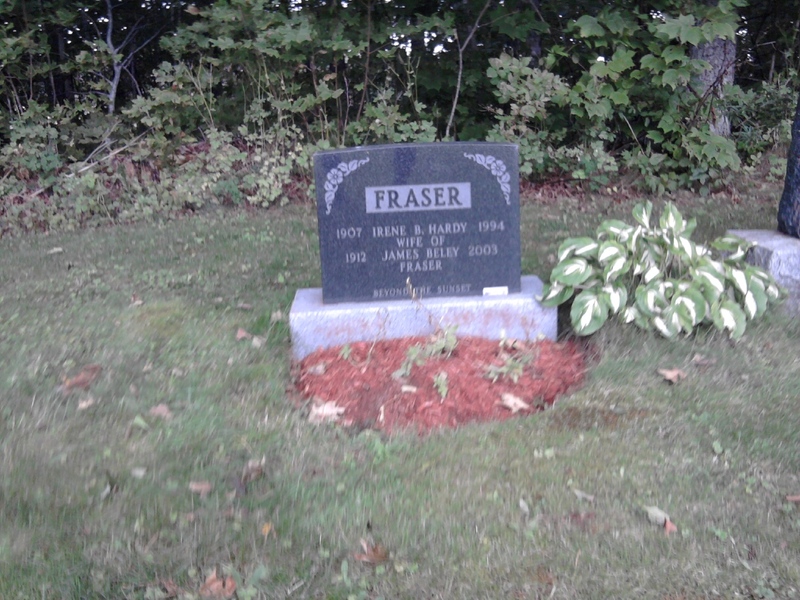 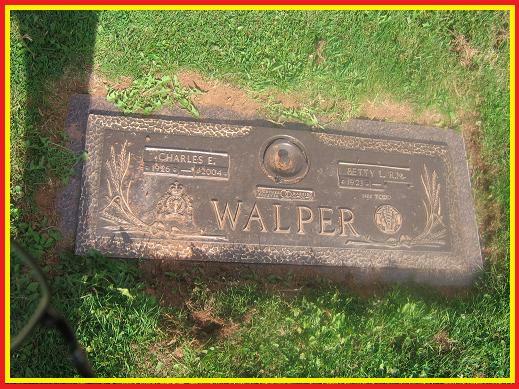 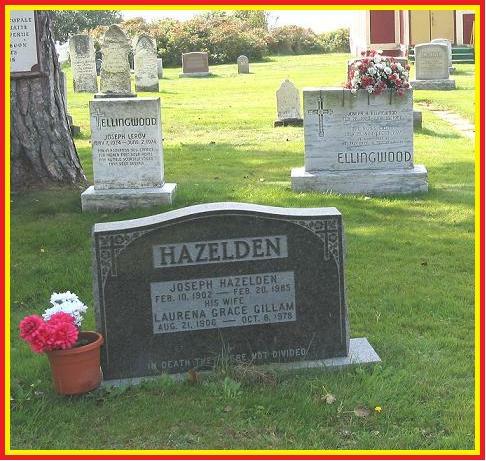 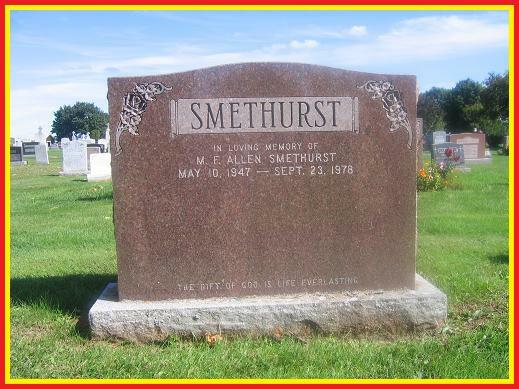 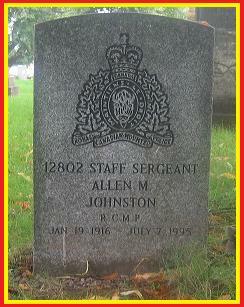 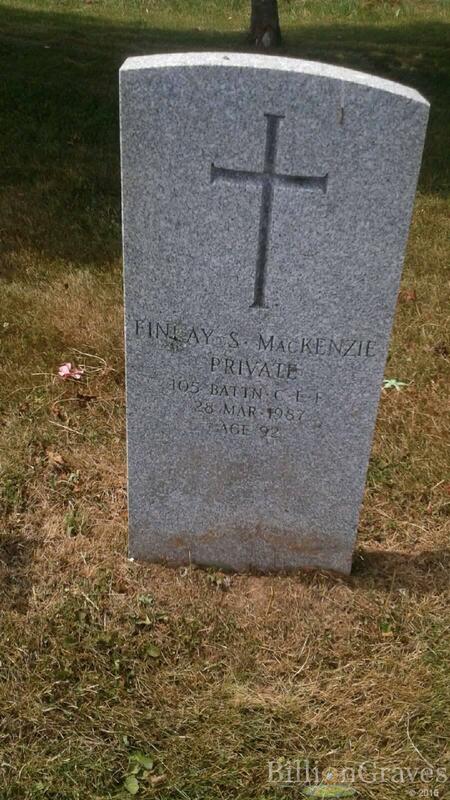 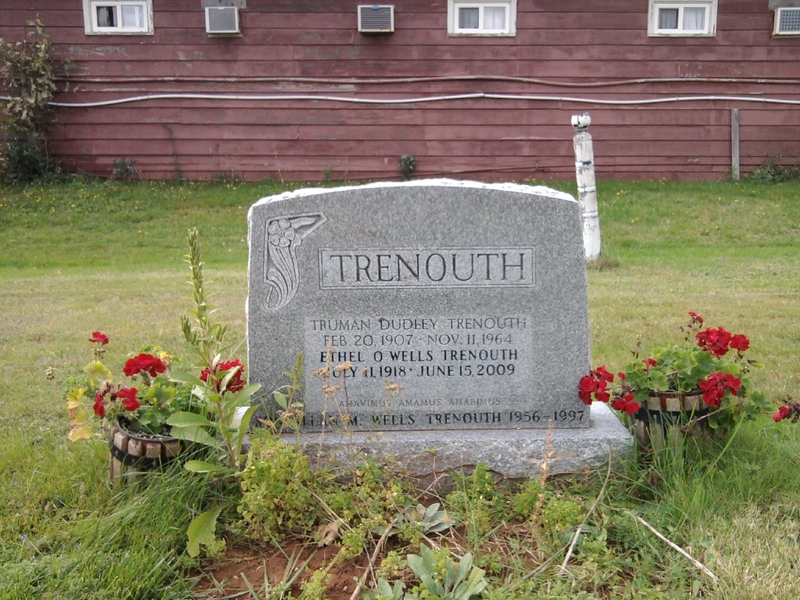 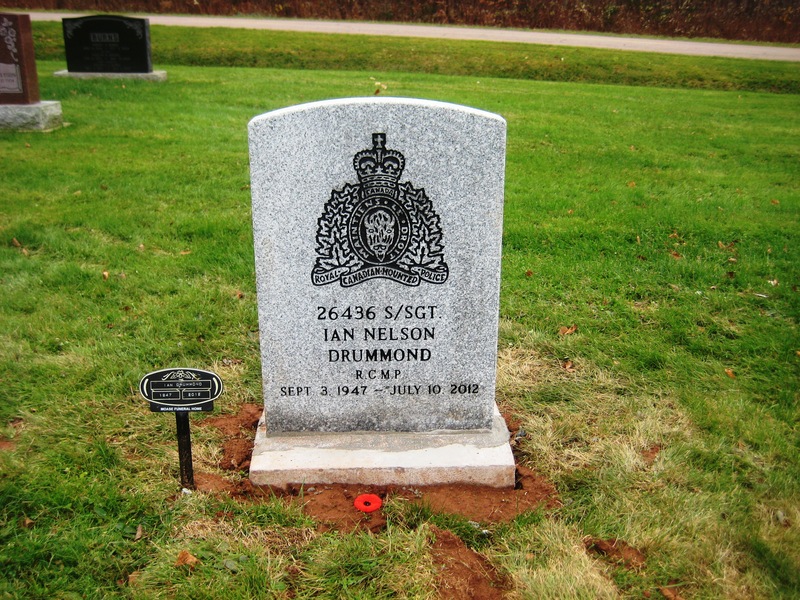 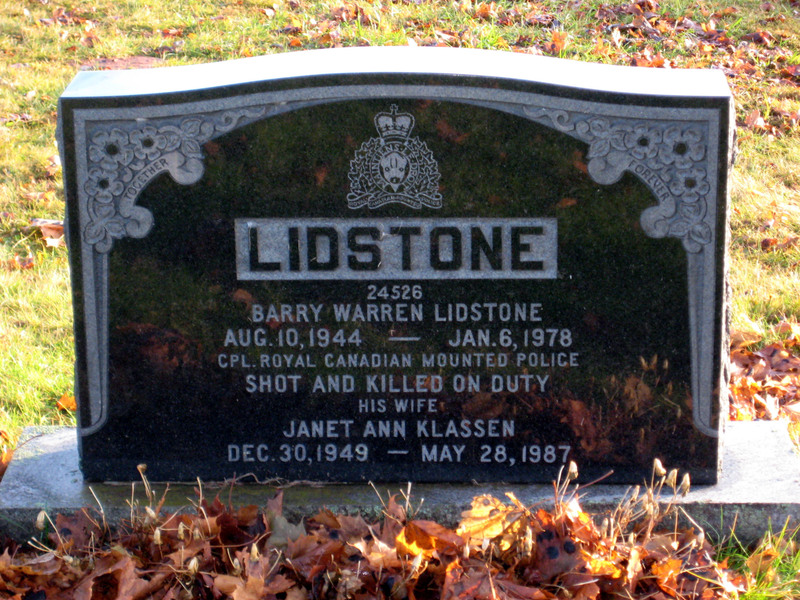 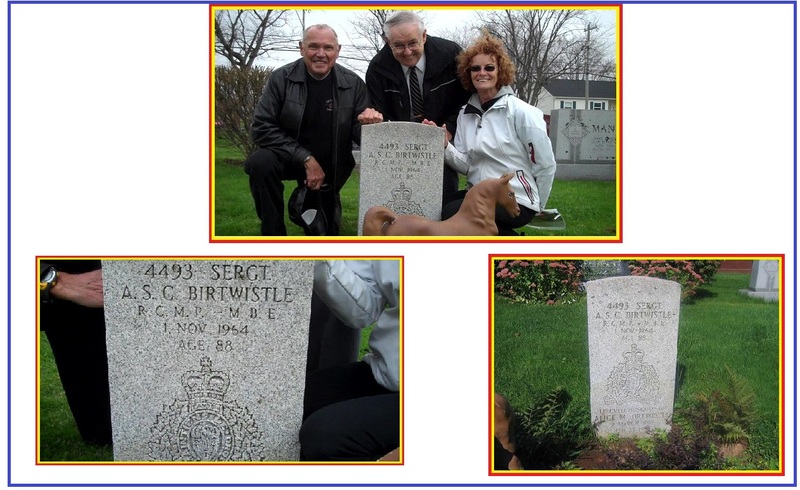 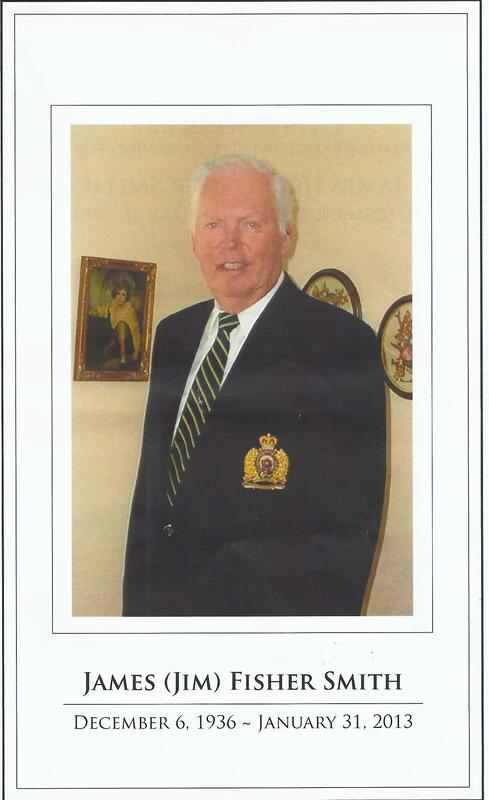 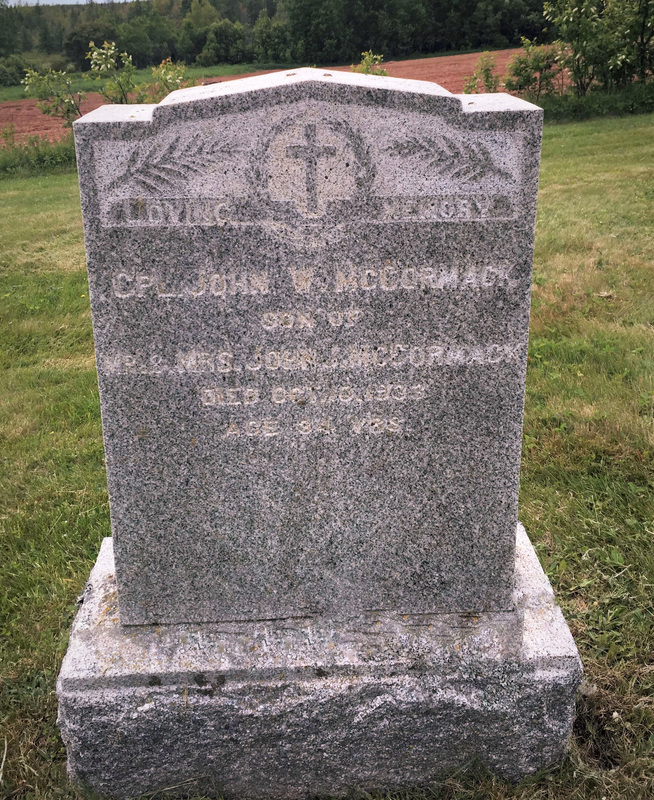 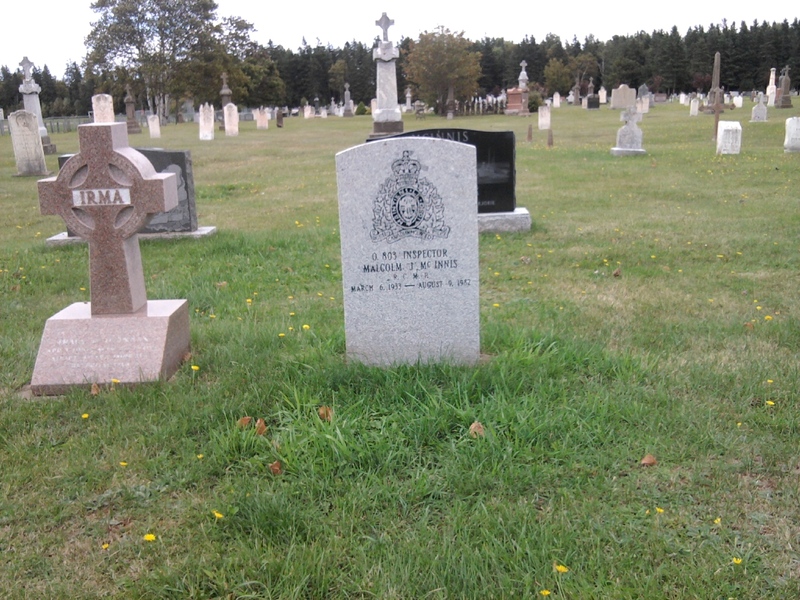 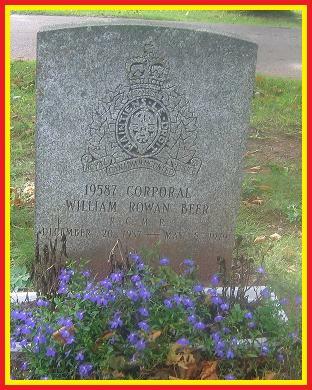 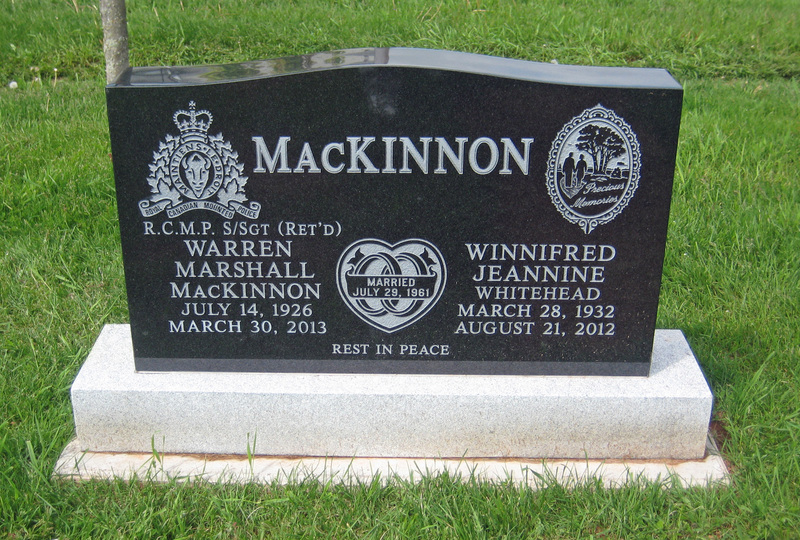 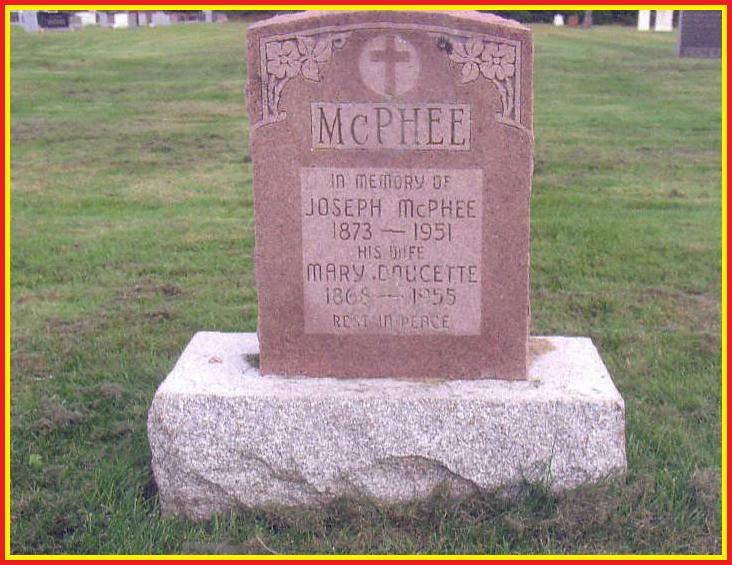 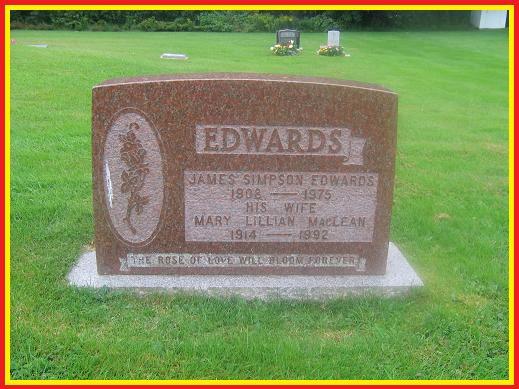 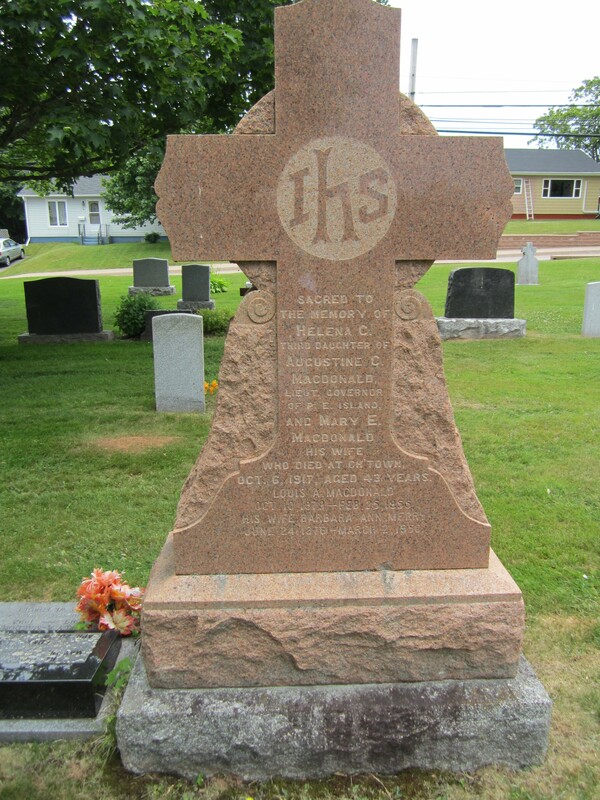 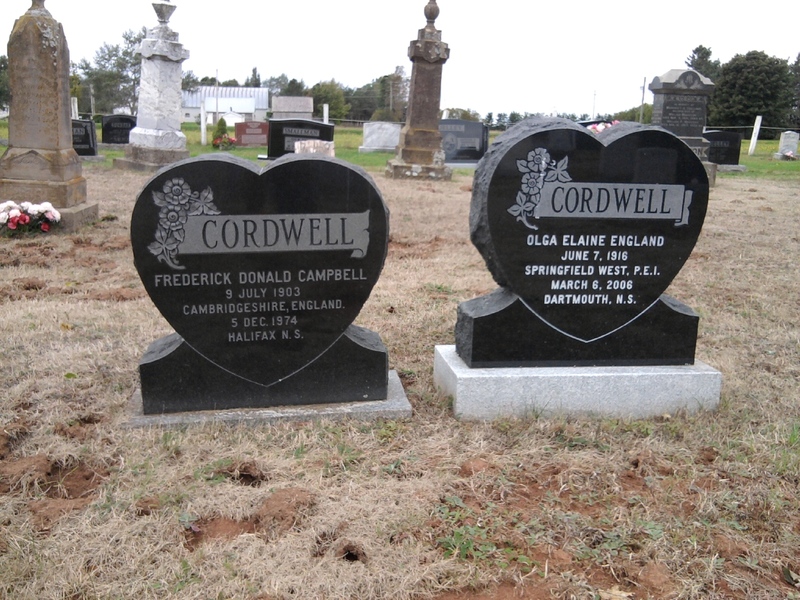 Site conditions of the headstone, marker and grounds, are reported to the Commanding Officer, RCMP "L" Division (PEI). 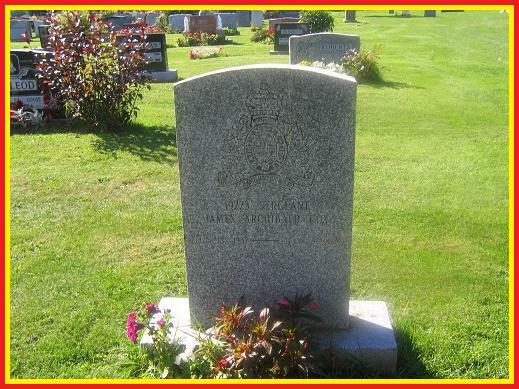 Deficiencies, whether they be repair, cleaning or other upkeep issues, are noted and recommendations are made to rectify these conditions. 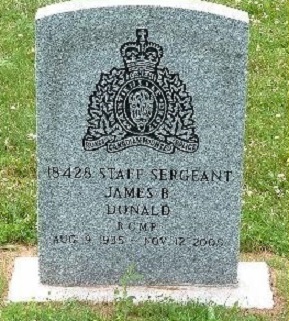 The "Last Post" Nominal Roll identifies former members of the Force, who have been interred or dispersed following cremation in PEI. 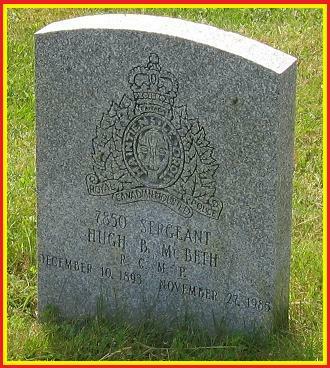 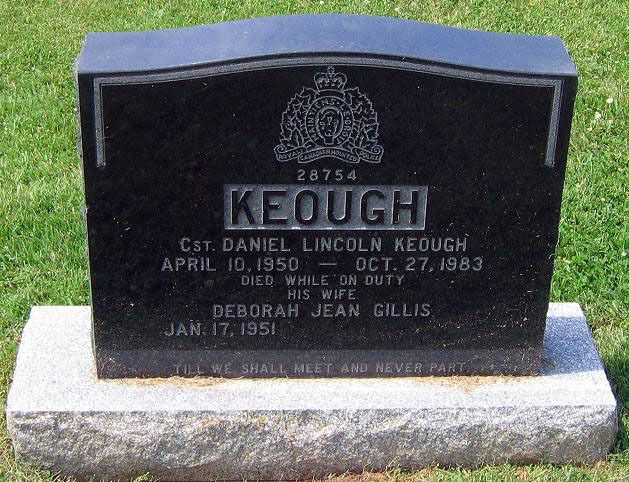 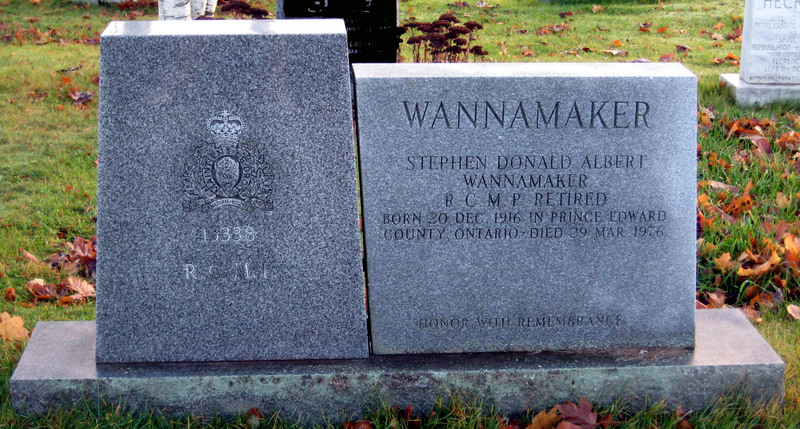 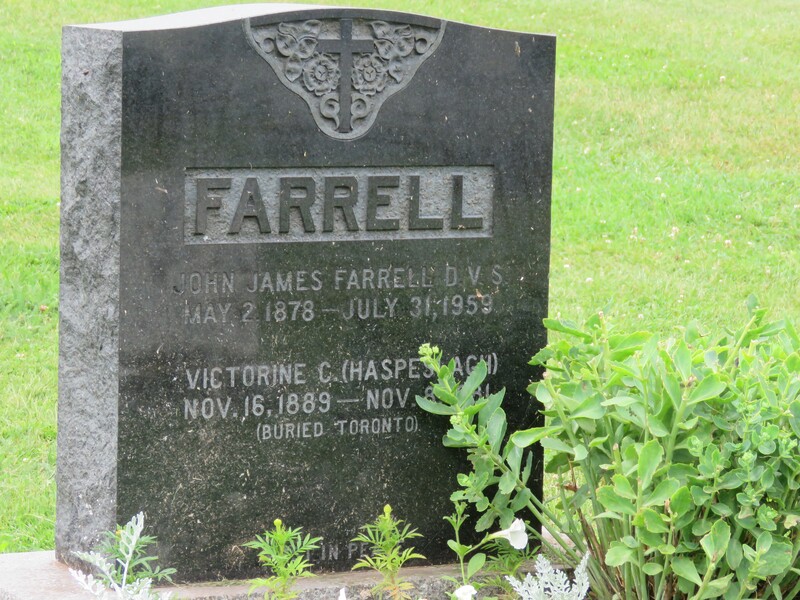 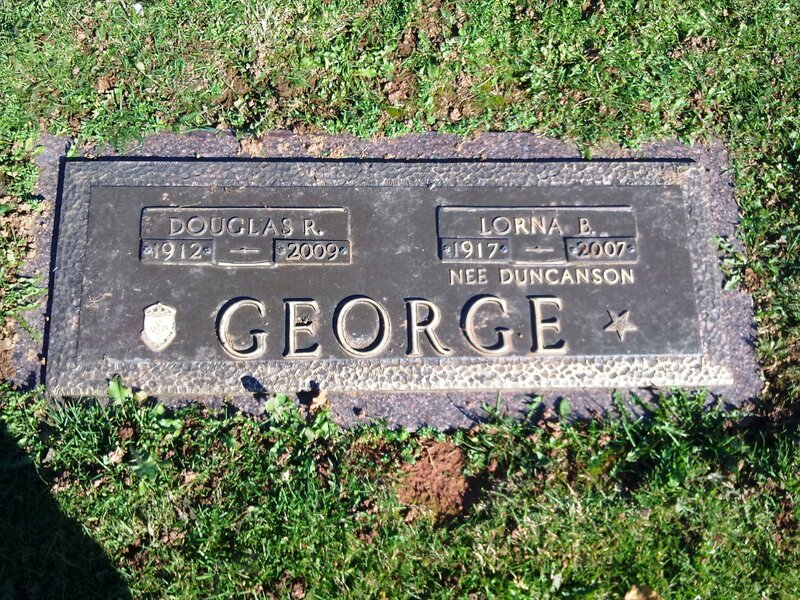 The "Nominal Roll" contains the regimental number, rank, full name, cemetery name and location. 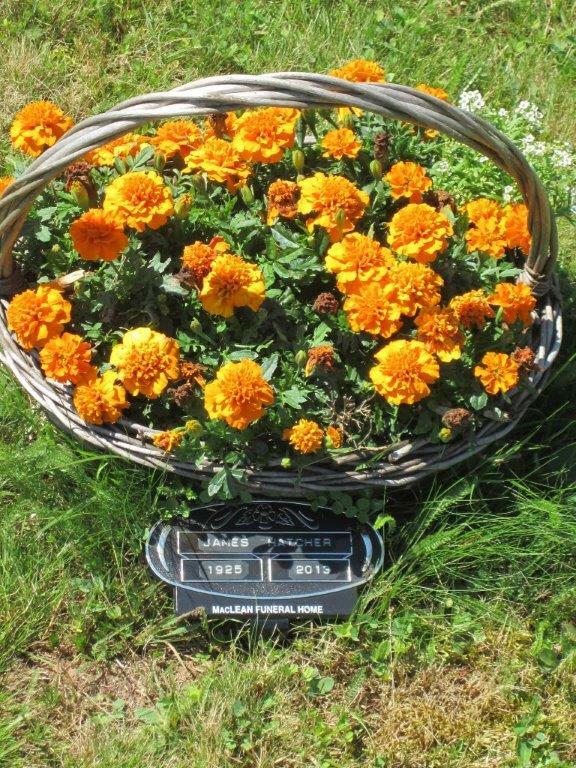 As well, the corresponding global positioning system (GPS) coordinates are included. 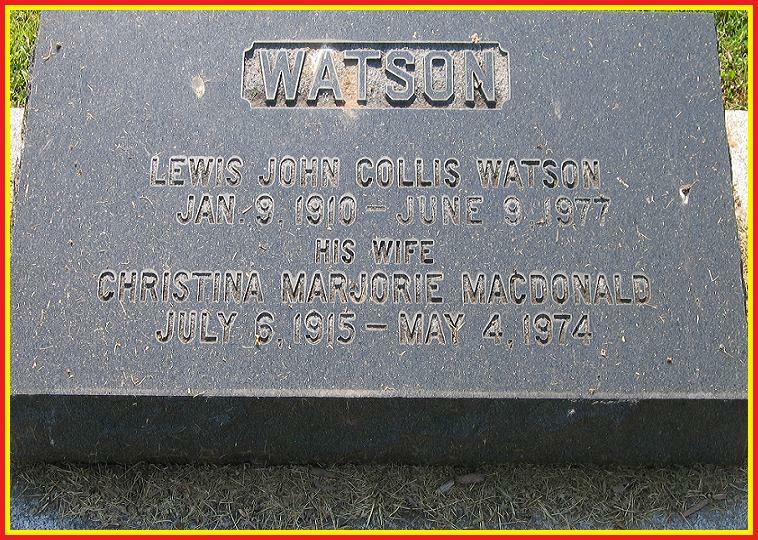 If you want to create your own map, simply copy these coordinates into your "search" box of your internet browser, or enter them in the mapping software you are using, such as Google Maps, Mapquest, Streets and Trips or Google Earth. 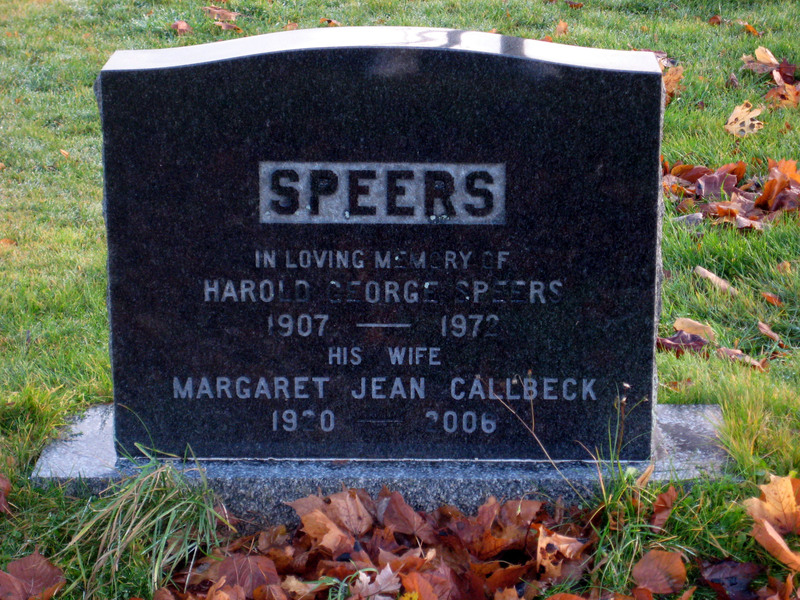 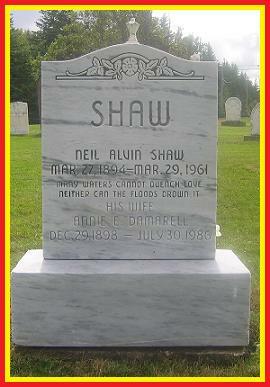 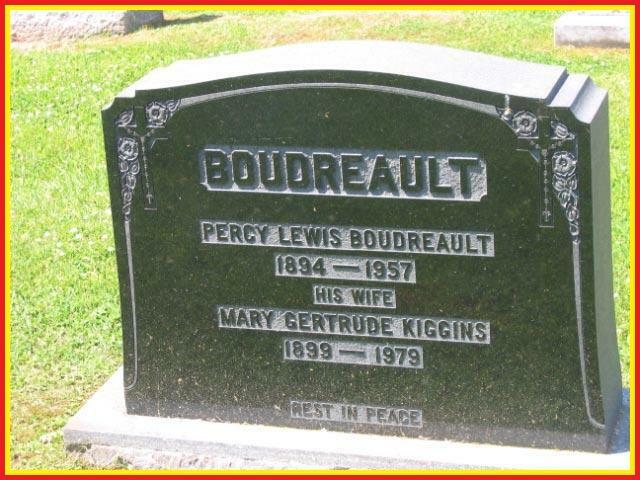 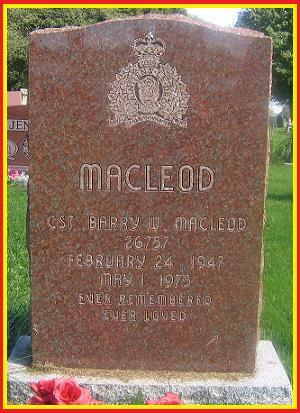 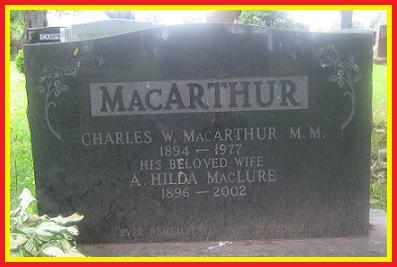 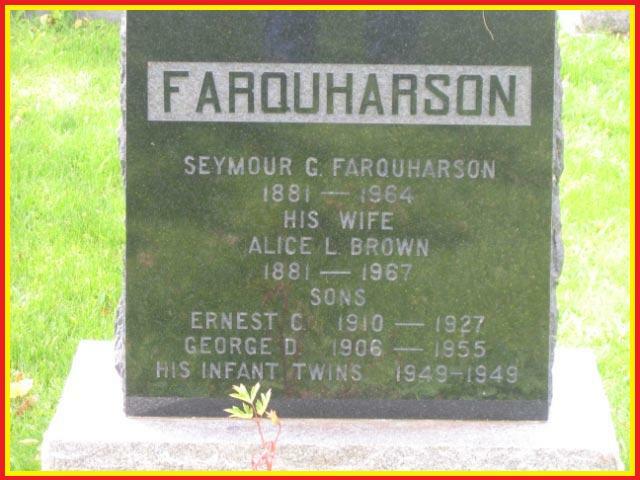 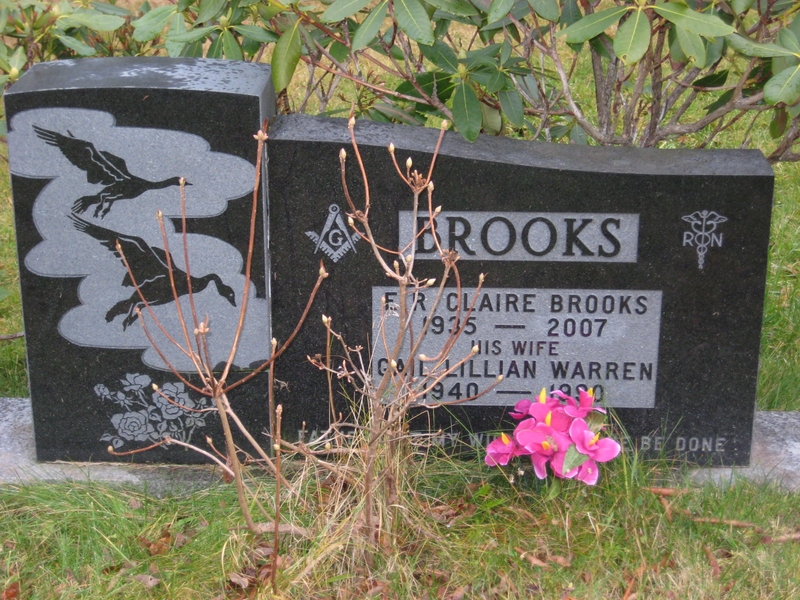 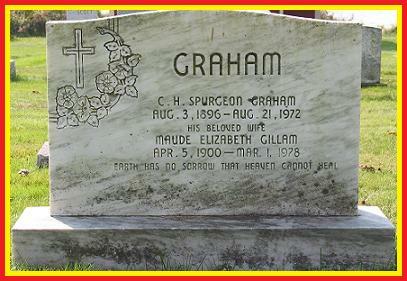 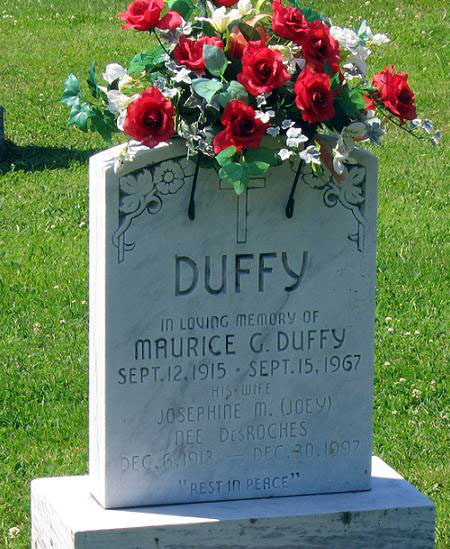 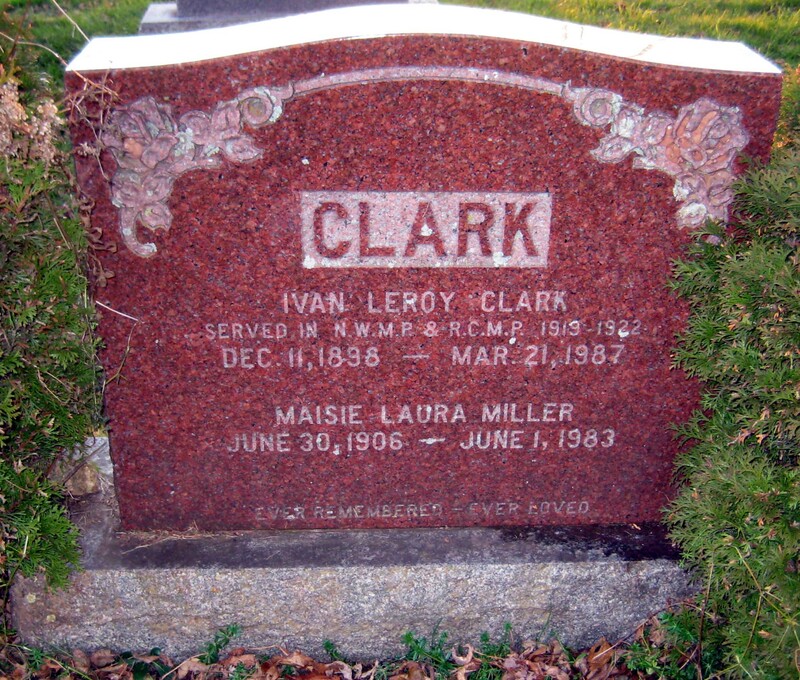 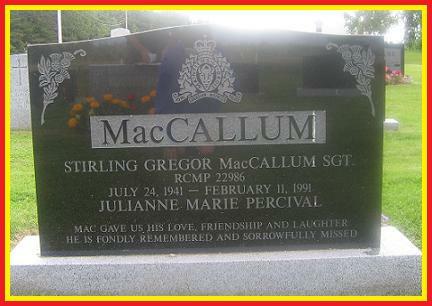 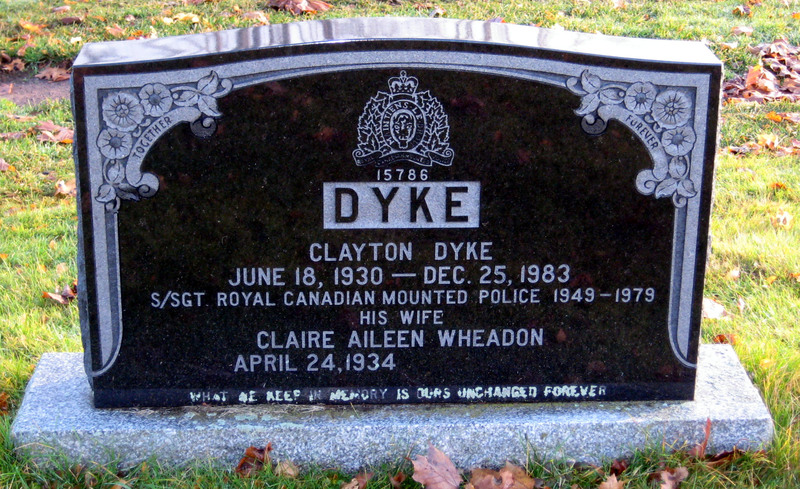 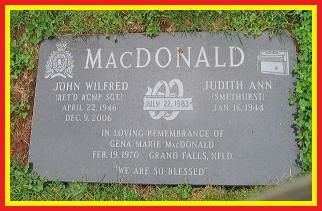 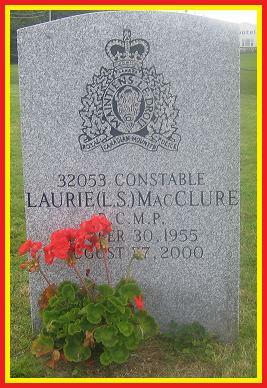 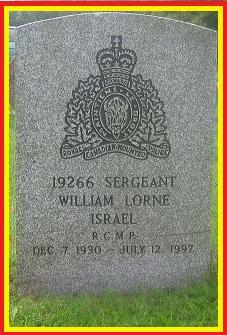 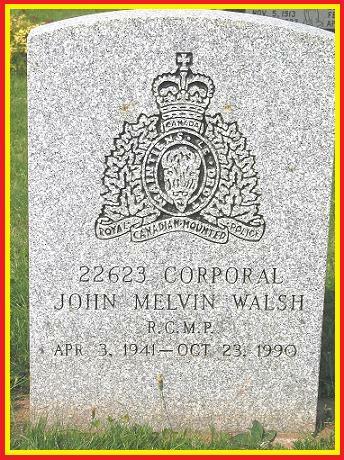 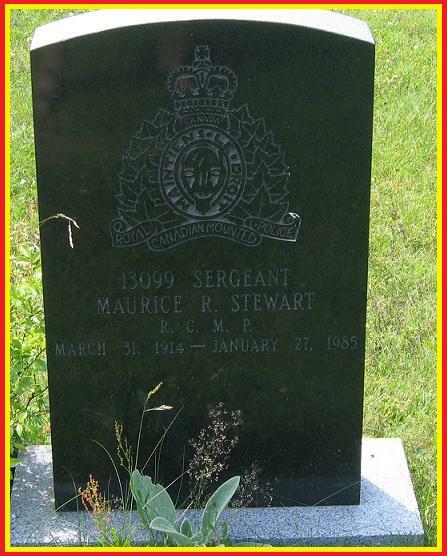 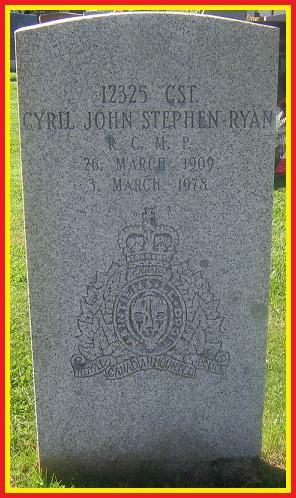 More detailed information on each member can be found on the National "RCMP Graves" website. 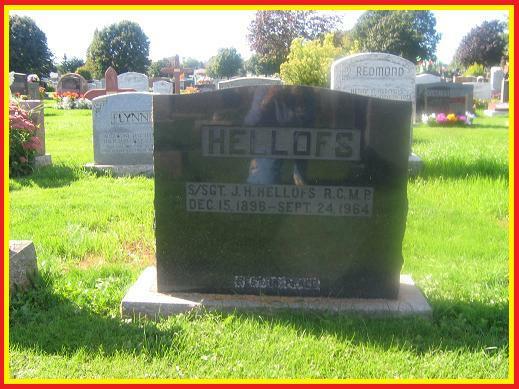 A special thanks goes to its creator (and the one who does all the maintenance), J.J. (Buffalo Joe) Healy, a former "L" Division member. 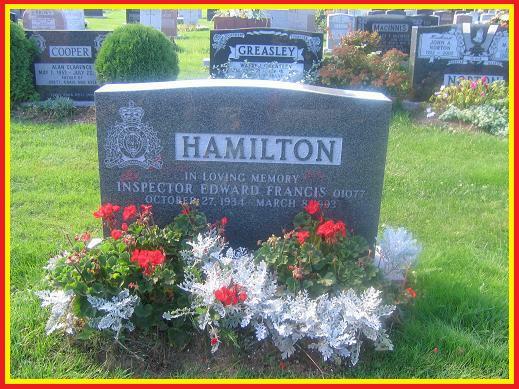 His dedication and ongoing commitment to ensure this site is alive and well is a true piece of history, never to be forgotten. 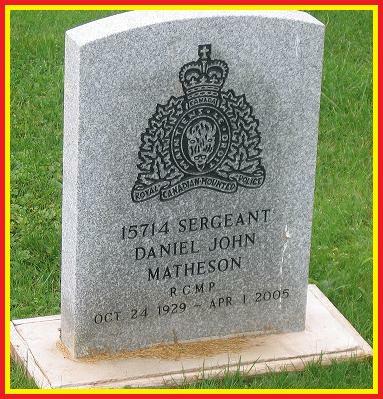 If, at the end of your visit to these websites, you are able to enhance the information through correction / amendment, please provide your observations / recommendations to our Secretary / Executive Director. 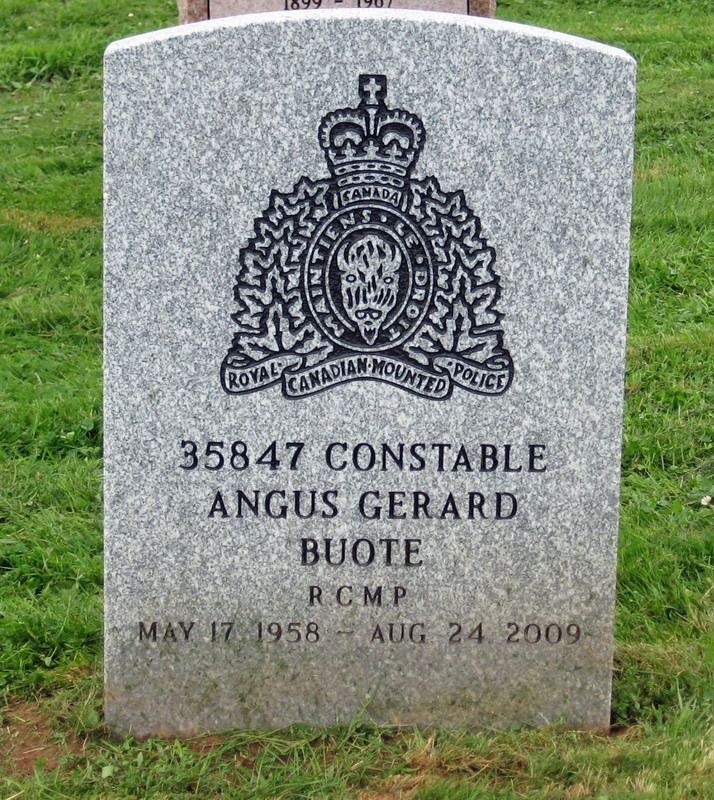 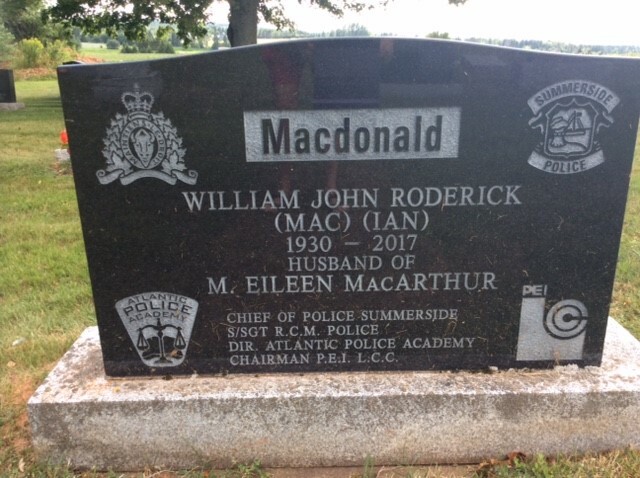 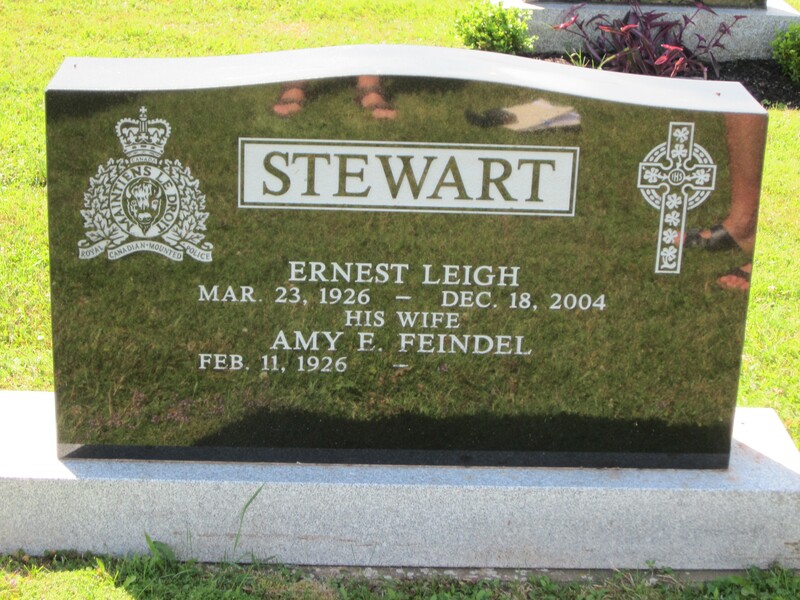 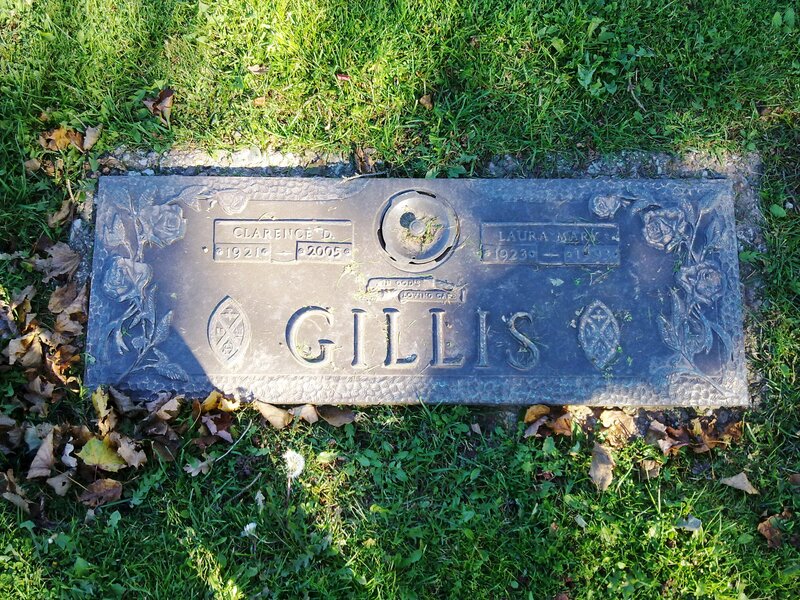 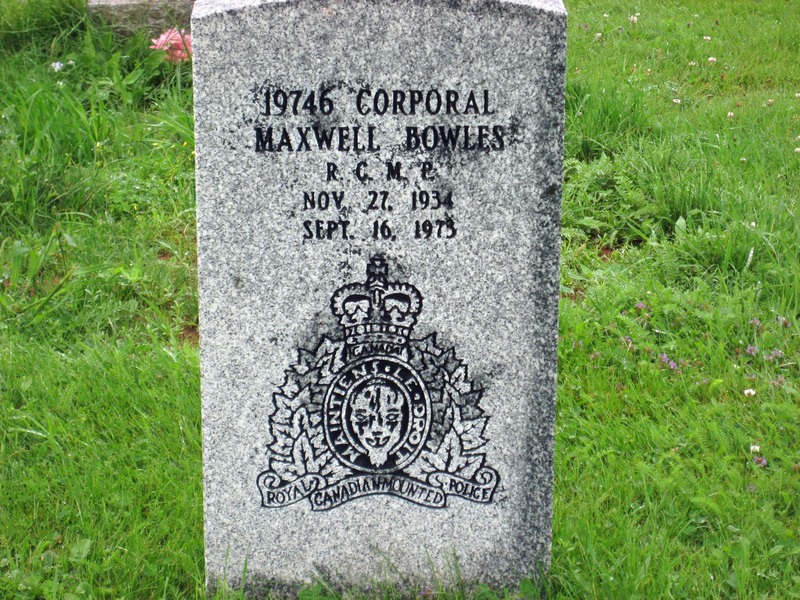 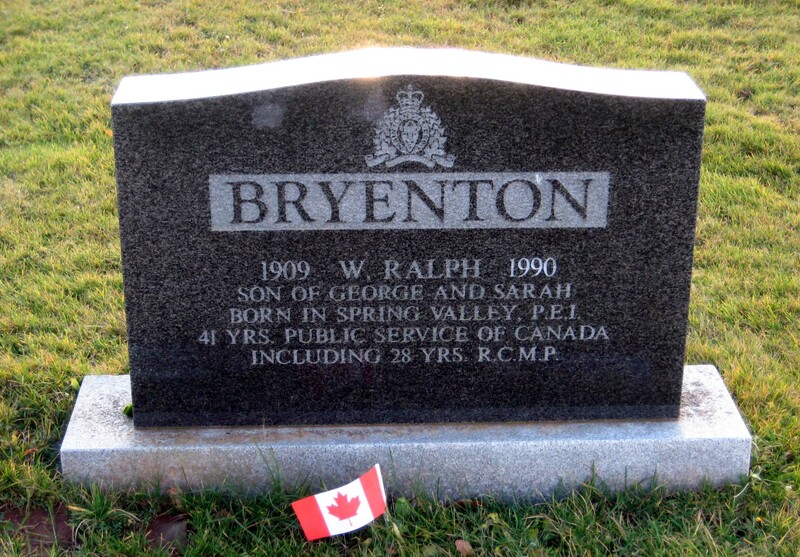 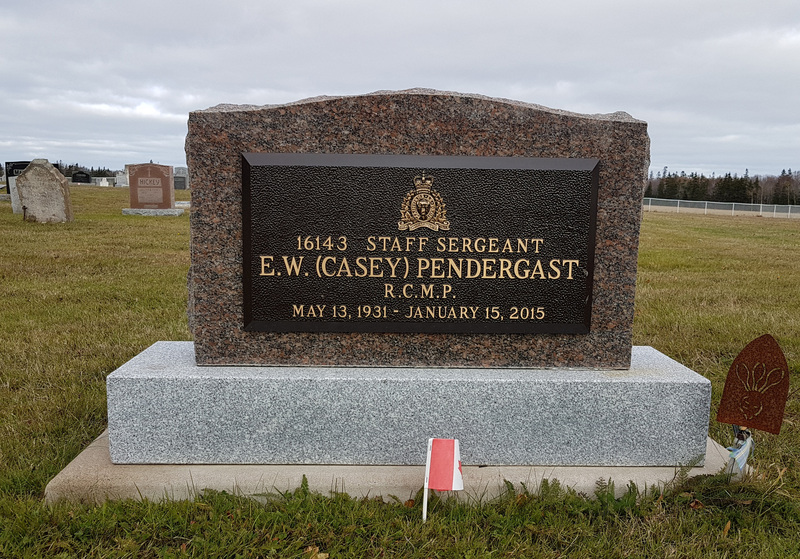 Any questions, concerns or claims surrounding headstones / markers can be addressed by calling the regional contact in RCMP "Internal, Employee and Management Relations", Halifax, Nova Scotia at (902) 426-0764. 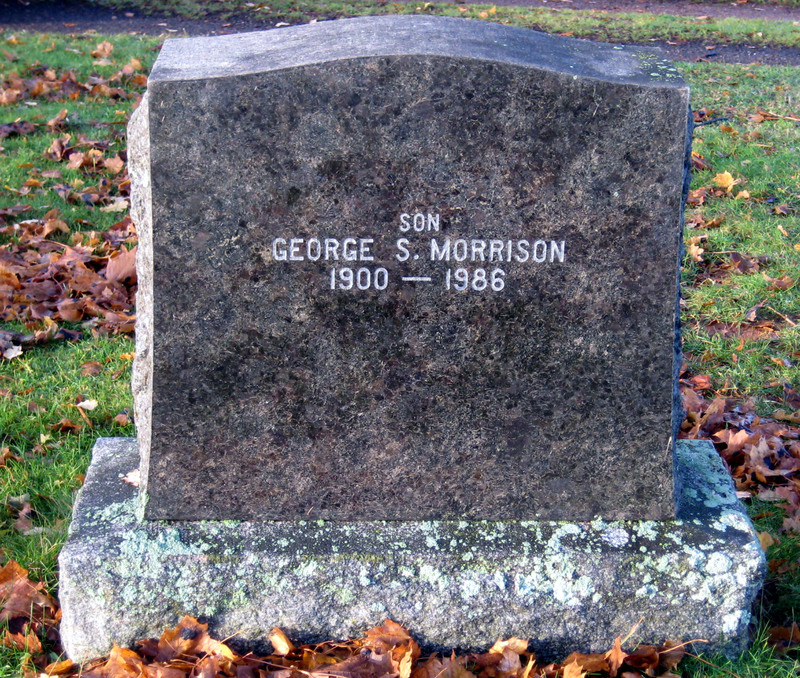 The nominal roll has embedded links. 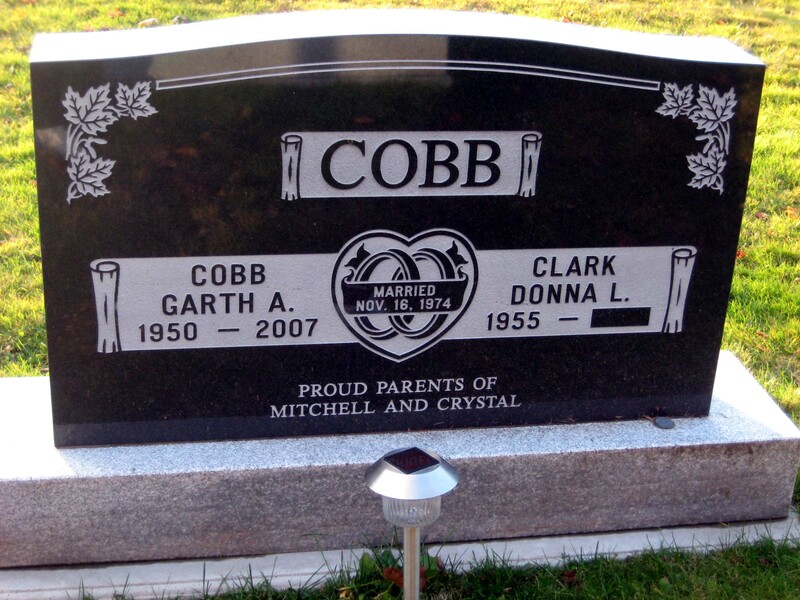 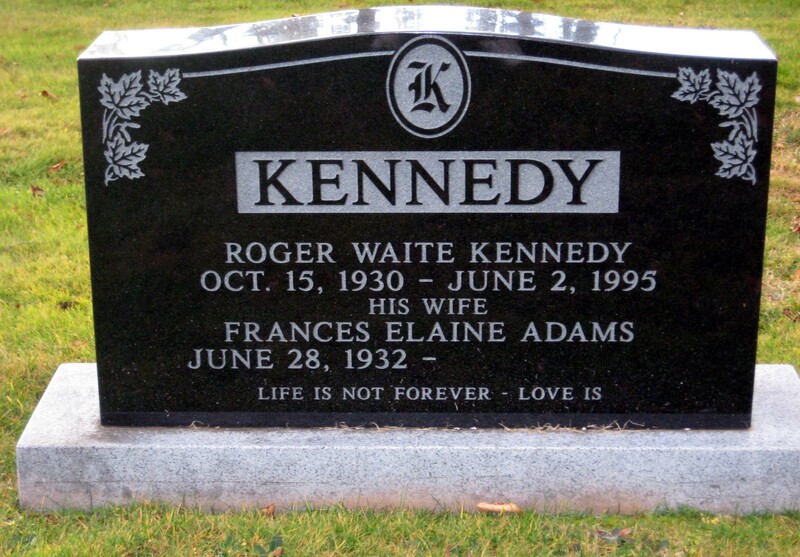 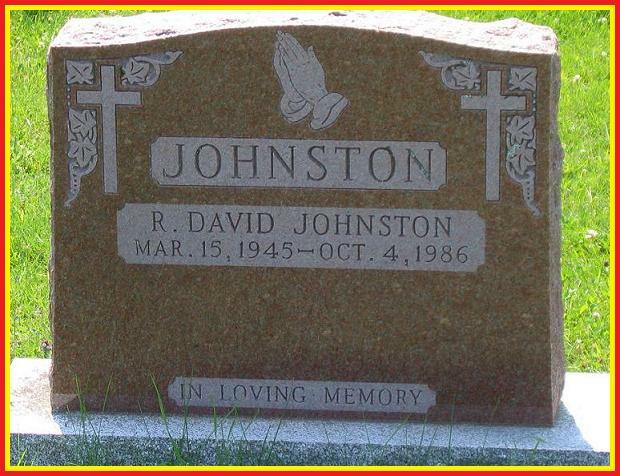 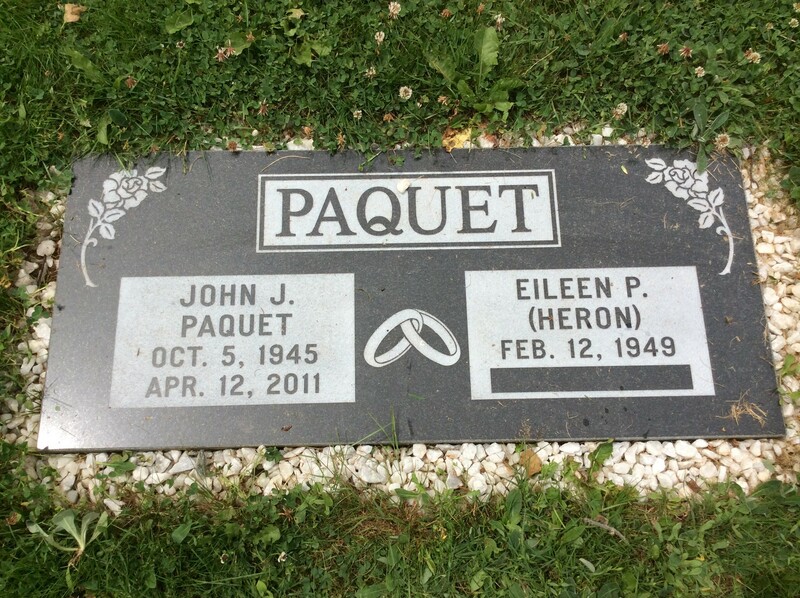 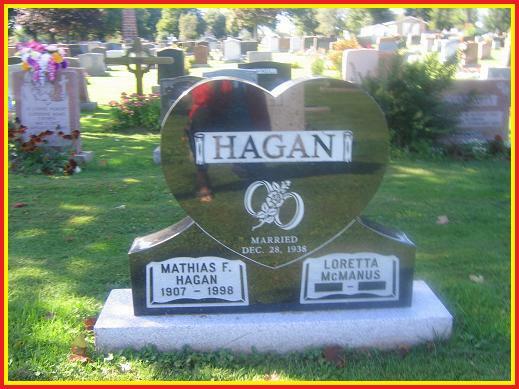 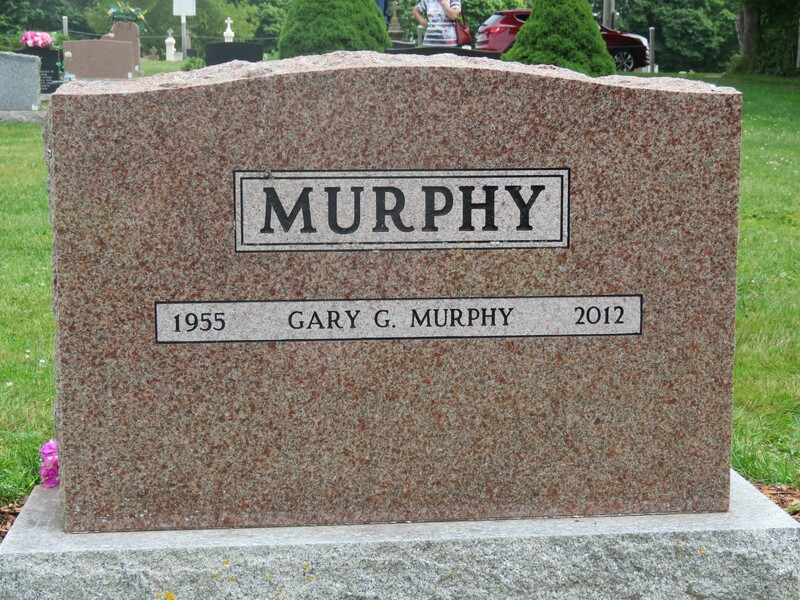 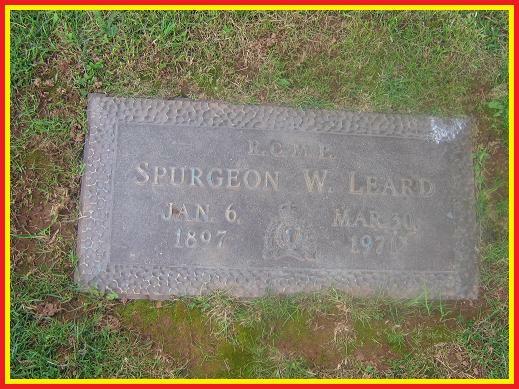 By clicking on the members name, you will open a picture of their headstone / marker. 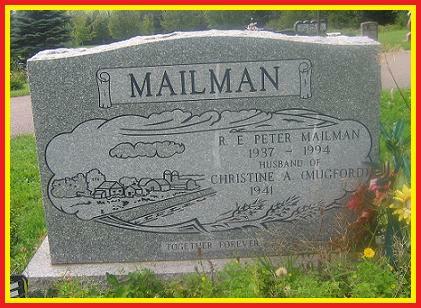 By clicking on the GPS coordinates, you will be taken to "Google Earth". 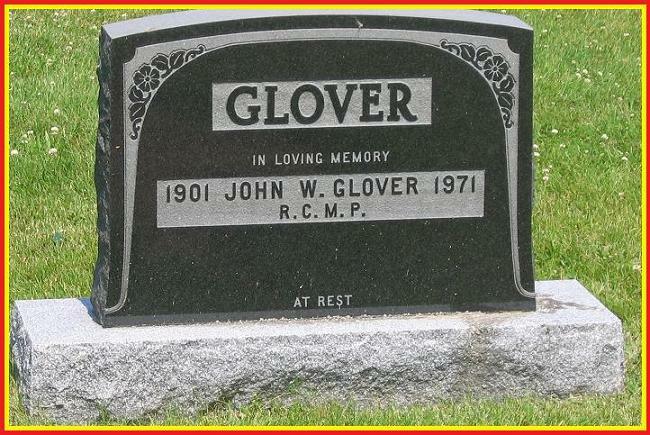 The precise location of the grave site will be plotted on a map. 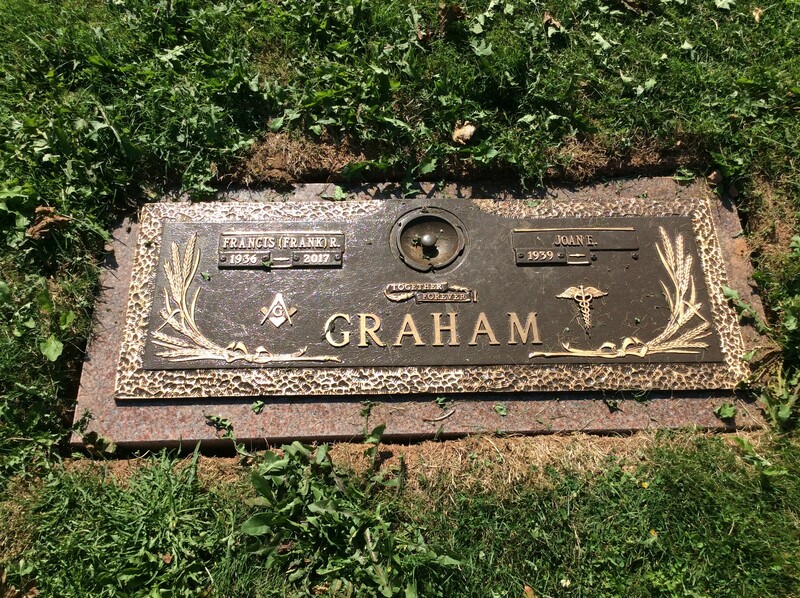 You can zoom in / out for the best perspective of location. 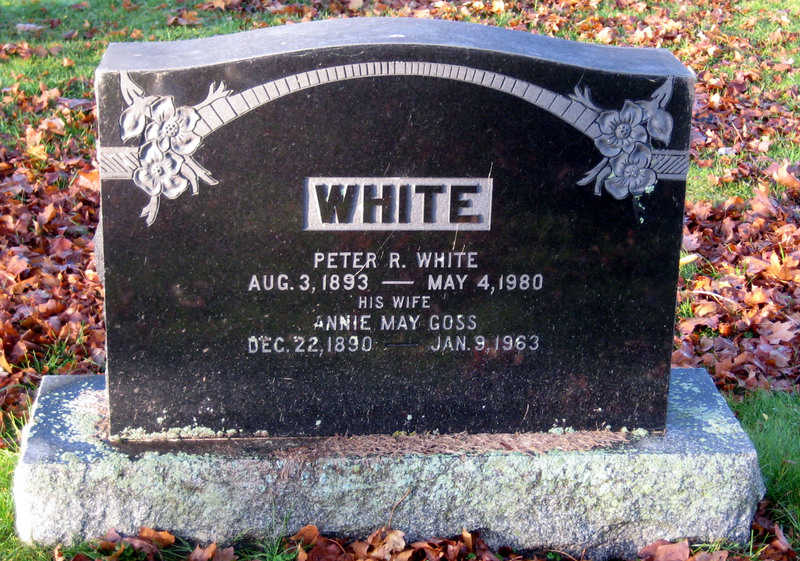 Unfortunately, some satellite imagery is not the best quality. 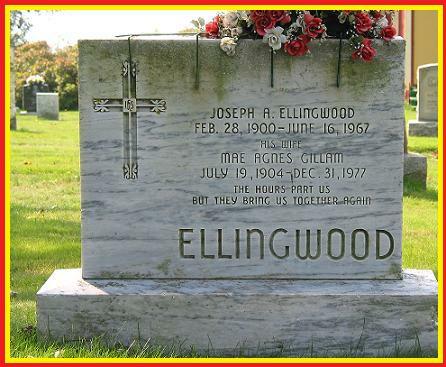 If you want a copy of the nominal roll, click on the Title above for the corresponding Word document. 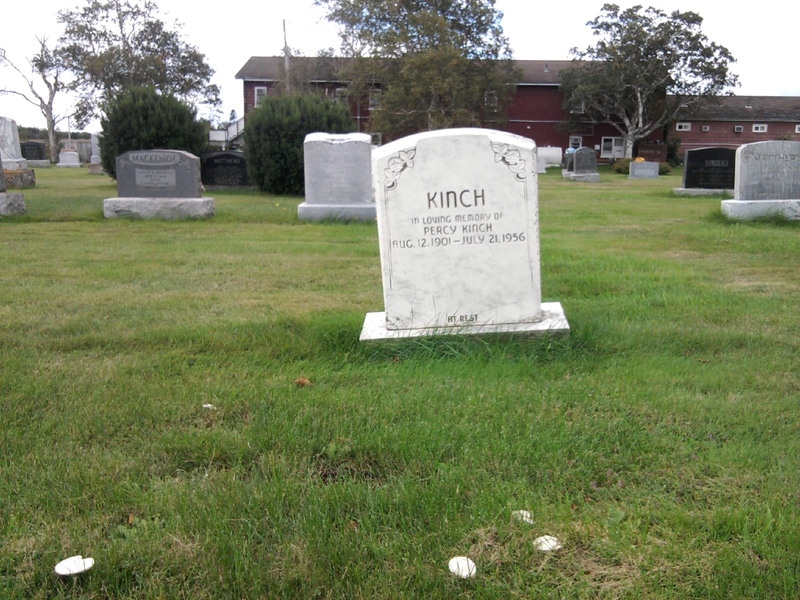 NOTE 1: Depending on your internet browser, you may have to click on the downloaded "KML" file to start Google Earth. 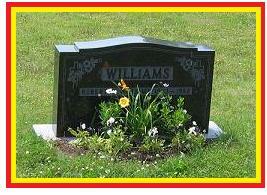 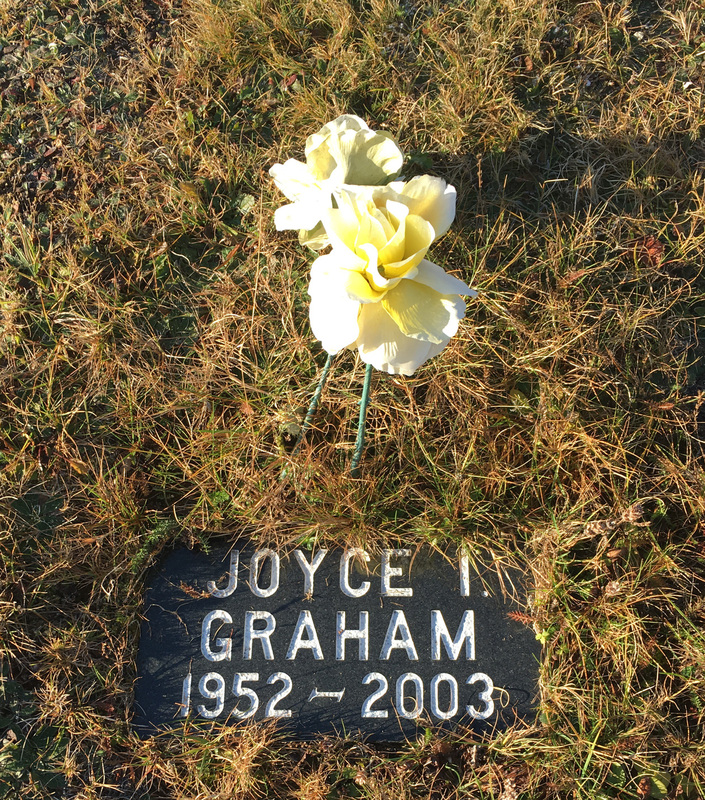 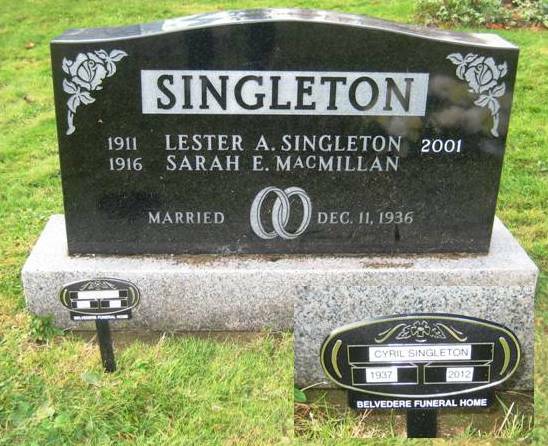 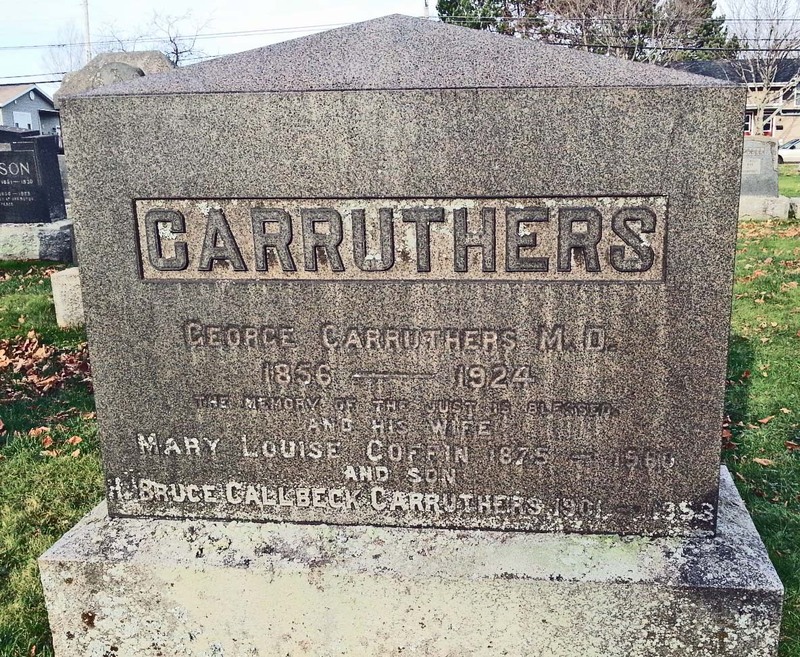 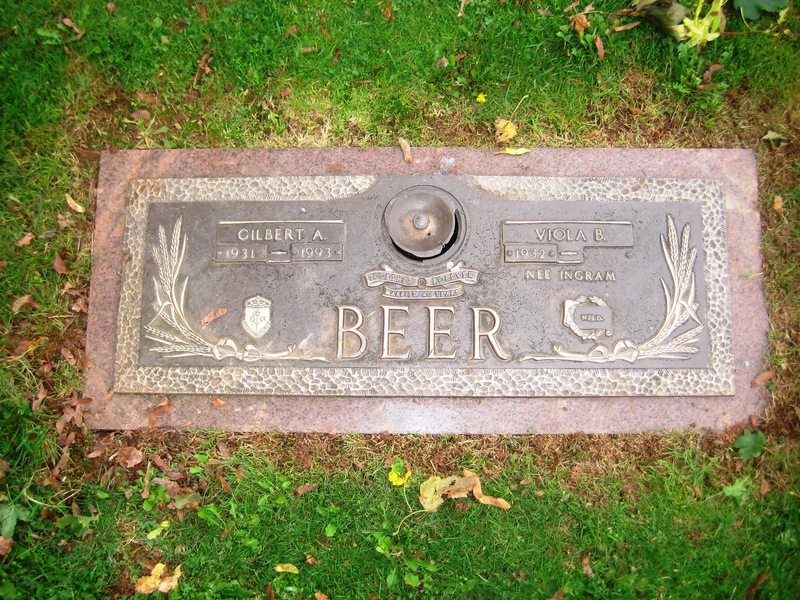 You will be automatically taken to the precise location of the grave site. 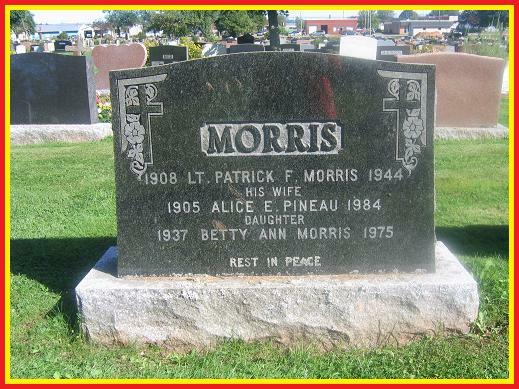 If a pin / placemark does not show on the map, ensure that in the sidebar, the box (in the "Temporary Places" folder) opposite the member's name is checked. 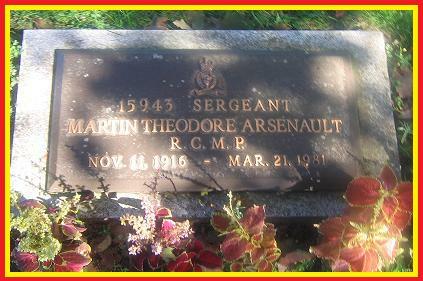 A hardcopy of this information can be obtained by clicking on the Title above. 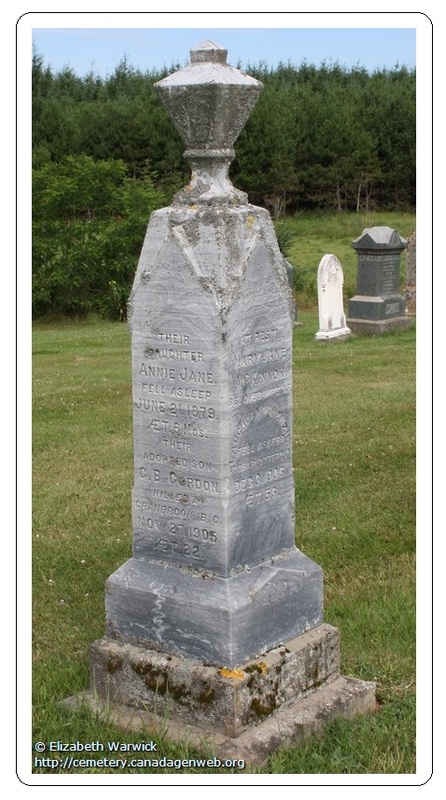 NOTE 2: SUI in the GPS Coordinates column indicates that the marker site has not been tagged / physically located, yet.